On July 1st, 2011, prisoners in the Security Housing Unit (SHU) in Pelican Bay State Prison, CA went on indefinite hunger strike to protest conditions that have been characterized by the UN as “inhumane and degrading.” Over nearly three weeks they have been joined by thousands of prisoners in at least a third of the state’s prisons, along with reported strikers in OH, PA, GA and Canada. The actions of these prisoners are part of a long international history of resistance to using prisons as a solution to social problems, most recently the prison labor strike in Georgia, and a hunger strike in Youngstown, OH, and they are generating a growing wave of support among people in the “free” world. On July 20th, people in Rhode Island will fast for a day of solidarity, and to call attention to the Human Rights violations in American prisons. Members of Direct Action for Rights & Equality, including former prisoners and family members of current prisoners, will be in Kennedy Plaza raising awareness from 2-3pm, and will offer prayers to those suffering, and call out to all prison administrations to hear those prayers. A prayer vigil will be held at 3pm. Dozens of actions have taken place in the past two weeks throughout America as a chorus of voices continues to question the role of prisons, and if the jailers are more barbaric than the jailed. A source with access to the medical condition of the hunger strikers, who asked to remain anonymous, told lawyers with the Prisoner Hunger Strike Solidarity Coalition that health of the prisoners is quickly and severely deteriorating, saying, “All of the medical staff has been ordered to work overtime to follow and treat the hunger strikers. Some [strikers] are in renal failure and have been unable to make urine for three days. Some are having measured blood sugars in the 30 range, which can be fatal if not treated. The staff has taken them to the [prison hospital] and given them intravenous glucose when allowed by the prisoners. A few have tried to sip water but are so sick that they are vomiting it back up.” Prisoners participation in the strike in other prisons in California have also reported that medications, including those for high blood pressure and other serious conditions, are being withheld from prisoners on strike. Some prisoners have participated for limited periods of time or have joined other prisoners in “rolling” strikes, due to their already poor medical conditions. “It is easy to think that we treat prisoners with humanity,” says Deb Langlais, a DARE member whose son Joe Crowley died at the ACI just a few days after being arrested. “Its out of sight, out of mind. And anyone who thinks they deserve to be treated like this- well it might be your son or daughter who’s next.” The ACI’s High Security Center is designed to imprison 96 people in long-term segregation. Recent “negotiations” with the California DOC have been rejected by the prisoners as in bad faith, as they offered merely a piece of exercise equipment in the common area. 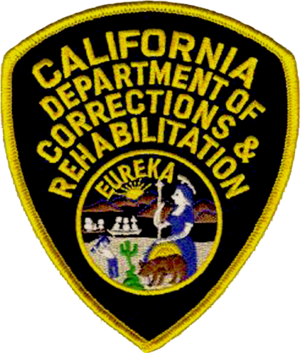 The Department of Corrections officially changed their name to California Department of Corrections and Rehabilitation (CDCR). This strike, the demands, and the DOC response has taken that “R” to task, and exposed it as a public relations ploy no different than when the United States War Department changed its name to the Defense Department in 1947. “The purpose of the Hunger Strike is to combat both the Ad-Seg/SHU psychological and physical torture, as well as the justifications used of support treatment of the type that lends to prisoners being subjected to a civil death. Those subjected to indeterminate SHU programs are neglected and deprived of the basic human necessities while withering away in a very isolated and hostile environment.” – Mutope Duguma, a Pelican Bay prisoner. The Pelican Bay prisoner five demands are interestingly modest, including: (1) An End to Group Punishment and Administrative Abuse; (2) Abolish the Debriefing* Policy, and Modify Active/Inactive Gang Status Criteria; (3) Comply with Commission on Safety and Abuse in America’s Prisons 2006 Recommendations Regarding an end to Long-Term Solitary Confinement; (4) Provide Adequate Food; (5) Expand and Provide Constructive Programming and Privileges for Indefinite SHU Status Inmates. A lawsuit is likely forthcoming. Considering the recent ruling by the U.S. Supreme Court that the California gulag is overcrowded and inhumane conditions, the Pelican Bay conditions take on added context and significance. Consider also that the Madrid v. Gomez case already ruled Pelican Bay was inhumane and torturous. Consider also that the 9th Federal Circuit ruled in Farrakhan v. Gregoire that the Washington State criminal justice system is rampant with racial discrimination on every level. And consider that next week, the EEOC is holding a hearing on the topic of employment discrimination for people with criminal records. These things do not coincide to create a perfect moment to legally overhaul the criminal justice system as Cruel and Unusual (violating the 8th Amendment) and racist (violating Title VII)… among other things. Rather, what this does is indicate what the judges and politicians are coming to understand long after millions of Americans know it. There is a public relations war tugging at the minds of the ignorant. On one side are the profiteers of this pain: with their campaign donations, PR firms, lobbyists, conglomerations, and union dues. On the other side are the oppressed, sign in hand, fist in the air, and some: starving to death. This is not just about Pelican Bay, and the strikers are fully aware of this. We shall see how this plays out. Bruce Reilly is the Deputy Director of Voice of the Ex-Offender in New Orleans, LA. He is a graduate of Tulane Law School and author of NewJack's Guide to the Big House. Much of his writing can be found on www.Unprison.org. This entry was posted in Commentary, Political Prisoners, Prison Conditions, Rehabilitation, Uncategorized and tagged Activism, California, California Department of Corrections and Rehabilitation, Criminal justice, Direct Action for Rights and Equality, Human rights, Hunger strike, Mumia Abu Jamal, Pelican Bay State Prison, Prison, Prison-Industrial Complex, Solitary confinement, United States, United States War Department. Bookmark the permalink.